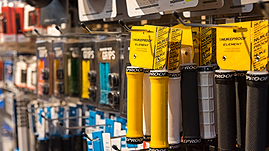 We are fanatical about bikes, and geeky about products.This is great news for you, because the shop is filled with carefully chosen goodies, which we think are ace. 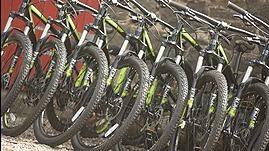 We are staffed by riders, for riders and love to find the right products for your needs. Come on over, have a browse and a chat, and don't forget your bike for a post-shop shred, what better way is there to do your shopping! Adults and Kids clothing, helmets, shoes, gloves, pads...We've got you covered - from head to toe. 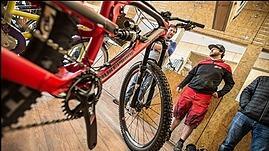 We specialise in selecting the finest components for your budget, and creating bespoke bikes to best suit your riding needs. 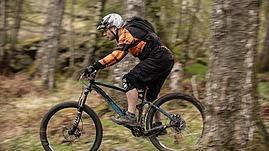 Try out the latest bikes from our fantastic selection of brands, in a proper trail setting. You can't get this online! We always keep our rental fleet fresh, so usually have a selection of well maintained used bikes for sale - check out whats available. Where is the online shop? The keen eyed amongst you will notice we don't sell online. We want you to be able to touch, feel, discuss and be advised on the products we sell. We don't try and compete with the big online guys, but we do have awesome trails, lots of great product knowledge, and cake! 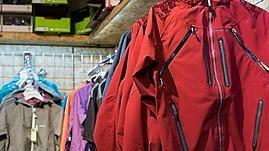 Make your shopping a day out, and your pounds will be supporting and developing the trails network at the Croft. That said, we can of course do mail order, just get in touch and we'll do our best to help! 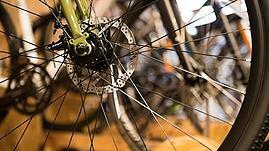 When you buy a bike from us, you automatically get a free first service, to be used within 3 months of purchase. If you have any little issues, which is unlikely but it does happen, we will fix them for free. If you ever need any advice on how to keep your bike in tip-top order, we are on the end of the phone, or open 7 days to advise you. 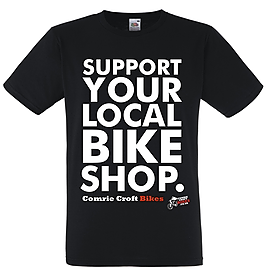 We are a real shop, manned by bikers, and here to help you. And here's something else. If you order a bike from an online store, they will still take a few days to get it to you. If you order one from us, and if we don't have it in stock, we will get it for you, assemble it and still have it for you in the time it takes for your online order to arrive. Or close enough. And you get all the benefits of our being an actual shop. Remember - the internet will not fix your bike!